This week it's Tom's turn to cook. 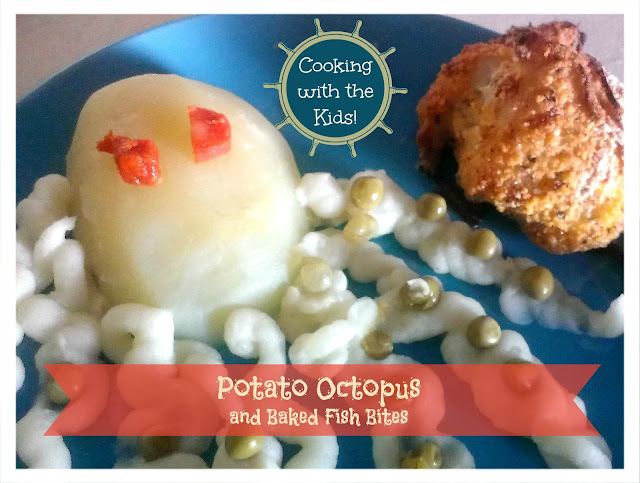 He choose fish fingers and this brilliant idea for potatoes; an octopus! The fish we picked up from the fishmongers wasn't really the right shape for fingers (it wasn't a uniform thickness for one) but we applied the same technique and made fish bites instead. The kids liked it though saying they looked the the rocks the octopus lived in. So it's all good! 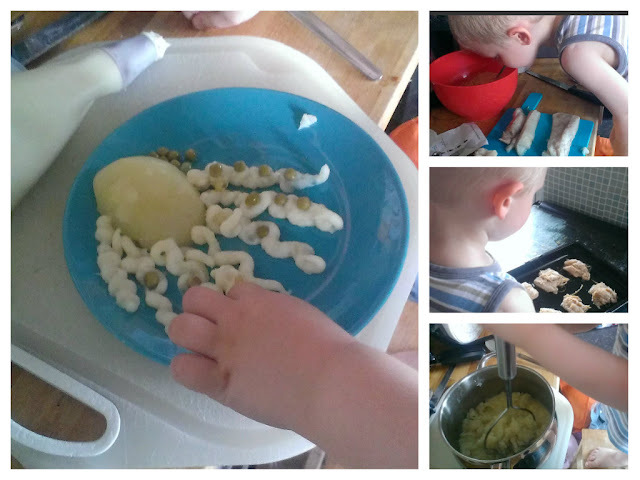 And Tom LOVED making the mash potato tentacles! Heat the milk & butter and add the remaining potatoes. Mash! Place a "head" on each plate and use an icing bag with the largest round nozzle to pipe out the 8 tentacles. Use a dab of mash to stick two chorizo eyes on the heads. Drain the peas and carrots, use peas to decorate the tentacles as "suckers"
Serve with the remaining veg and the fish.